impossible jen: "breaking in" or "breaking bad habits"
"breaking in" or "breaking bad habits"
so, i got seriously lazy last year. all my get up and go from 2012 when i ran the disney half marathon was gone. i don't know what happened, it rolled under the sofa or something. 2014 is going to be different, seriously, soon, for reals. knowing i'm only motivated by concrete deadlines, i wish i had signed up for the tinkerbell half this year. my hopes were that i'd be out of town on a job, no such luck. 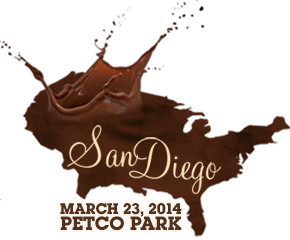 so i've decided my first run will be the hot chocolate 15k in san diego in march. time to get myself moving. 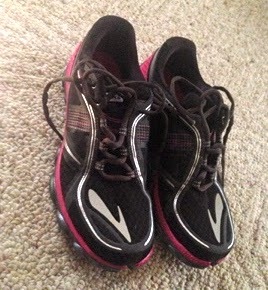 first things first, i desperately need new running shoes. i've never been a big fan of the shoes i had, but they served their purpose. friday night after work i went to the nearest frontrunners where they examine your feet and how you walk to fit you for shoes. i found out i have a high arch and neutral step, meaning i don't over or under pronate. i brought the previous shoes so i could show what they had fitted me in before and discuss what i didn't like about them. after trying on the newer model of my old asics, less clunky than the previous pair, i off handedly told the sales guy that i hate shoes. it's true, i'm a girl and i hate shoes. don't get me wrong, i can appreciate a nice pair of heels or suede boots, but if given the choice, i'd go barefoot. the first thing i do when i get in my apartment is take off my shoes. not put down my purse or take off my coat, the shoes have got to go. since i hate shoes, the sales guy took the initial 3 pairs he'd brought out back to the closet and swapped them for some lower profile models. not quite as thin as the minimalist ones that actually look like feet, but enough so that i didn't feel like i was running in wedges. so here they are, my new (and 1st pair) brooks pureflow 3. can i take a moment to complain about how vibrantly colored running shoes are today? black with hot pink was the most neutral combo they had. most of the shoes look like they'd been washed with a jumbo bag of skittles. not my thing. shoe companies, please, give at least one boring color option. 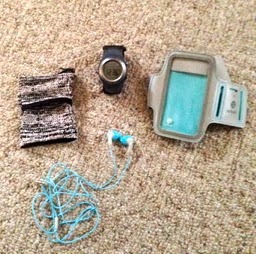 i've got some new shoes, some new tunes and a few old friends in my runkeeper app to help keep me motivated. i also scored some new gear since the last run. "get up and go" or "just 5 more minutes"